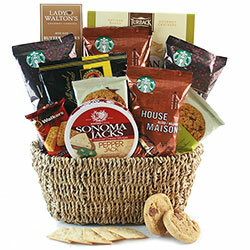 Simply amazing Starbucks gift baskets are here at your fingertips! 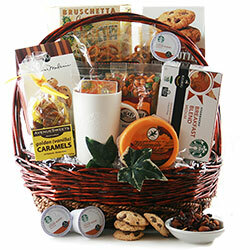 Our Starbucks gift baskets are filled with selections of mouthwatering ground and instant coffees. 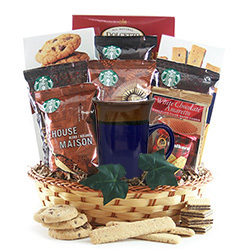 We’ve also included savory coffee accompaniments including shortbread cookies, rum cakes, chocolate chip cookies, caramels, and delicious pancake mixes. 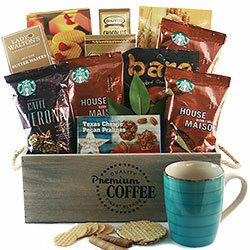 Our Starbucks coffee gift baskets are sure to please your coffee lover!